Seven years in the making! Another great book by the co-author of Here's Magic . 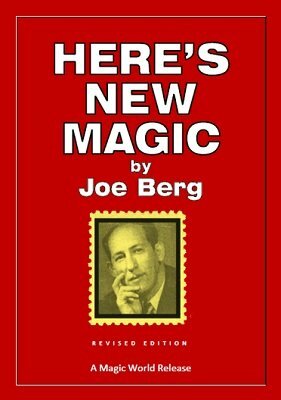 Magician-dealer Joe Berg reveals 23 secrets of magic that, prior to the release of this book, had never before been divulged. With the assistance of Martin Gardner, Berg reveals his best, tested tricks and routines that magicians of every ilk will put to immediate use. Featuring killer effects such as the "Adhesive Tape Thumb-Tie" that, unlike a $25 manuscript that uses red electrician's tape, works with any tape and uses no external gimmicks. Or how about "The Magical Hatchery" — a cute effect that's a hit for club workers. Close-up workers will appreciate Berg's "New Cups and Balls Routine." Seattle's T. A. Whitney predicts that this routine will bring tears of joy to the eyes of your audience. 1st edition 1937, PDF 51 pages.